The answer to this question can have many directions. The simple answer is: when the wine is ready. On average, white wines may be bottled 6-12 months after fermentation. Red wines benefit more from bulk aging, that is, aging all of that varietal together in a large vessel such as a tank or barrel or carboy, rather than in individual bottles. A red wine should bulk age for at least a year before bottling. Premium red wines age for at least 3 years in large vessels before bottling. Extra, extra! Read all about it! The Spring Harvest will be here soon! Catch up on what Musto Wine Grape Company has in store for your Spring vintage by clicking the link below. 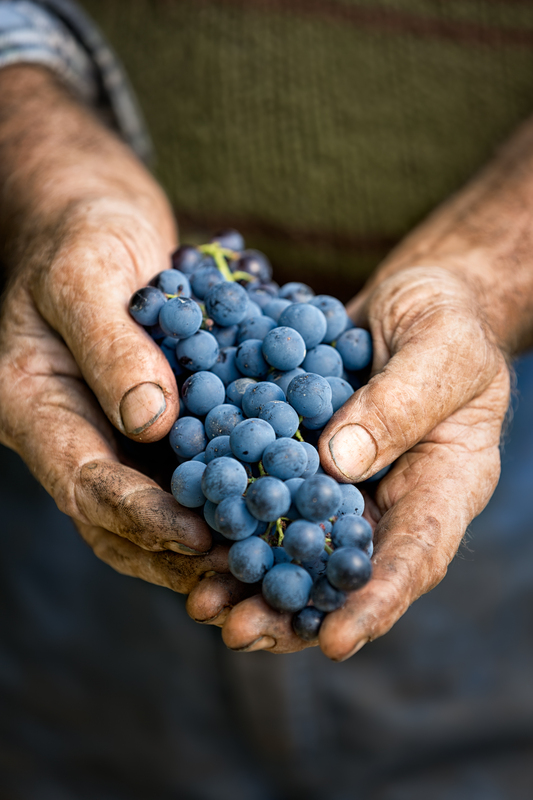 When it comes to making wine, often there is nothing more exhilarating than sampling the fresh grapes as they come in and selecting the varietals that will best suit your individual winemaking needs. Once you have selected the varietals that you would like to make that season, the most often the next question is “How many grapes will I need to make my desired amount of wine?”. The answer changes slightly depending on the origin of the grapes. South American producers fill their crates with 18lbs of grapes. 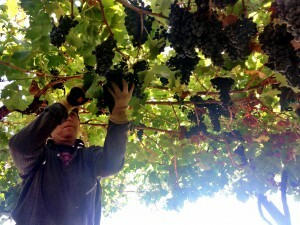 This typically requires the winemaker to purchase 4 crates (18lbs each) to yield 5 gallons of wine. The same formula roughly applies to South African grapes as well, with their grapes being packed 20lbs per crate. Obviously this will yield the winemaker a bit more juice, but the overall formula is applicable. Fall harvest from the northern hemisphere gives us slightly different guidelines to follow for estimating yield. North American producers have larger crates, packed 36lbs/crate. On average, each crate yields 2.5 gallons of juice, the winemaker needing two crates per five gallons of desired wine. Seasonal growing conditions apply to the yield as well, rainfall having the most profound effect upon juice yield. 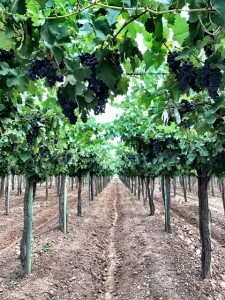 Also, premium growing areas where the grapevines grow under stressed conditions, resulting in premium fruit will yield significantly less juice than grapes grown in irrigated fields. We suggest purchasing one additional crate per desired 5 gallons of finished product. The two crates per five gallon rule is a safe assumption when estimating juice yield, as it is more of a conservative estimate of juice yield. 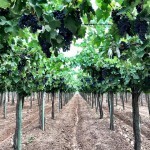 We often hear reports of a higher yield rate for certain west coast varietals. Berry size will affect the yield of juice as well. 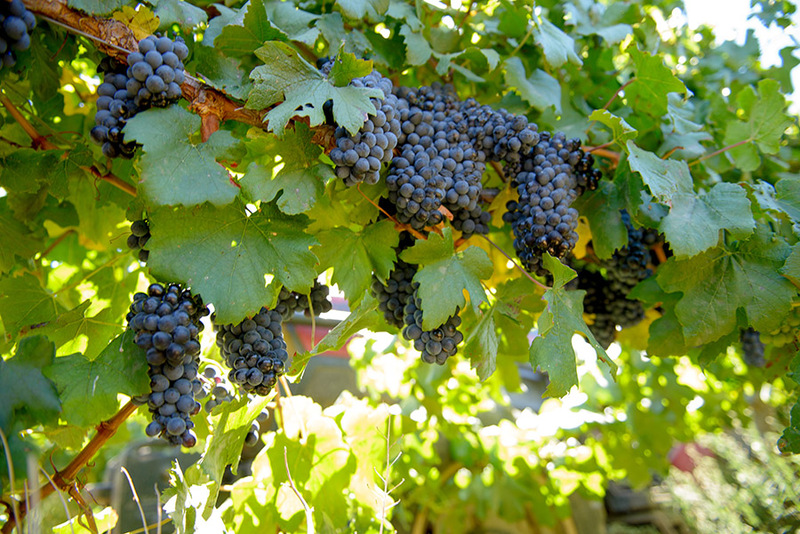 Pinot Noir and Grenache berries are significantly larger than Cabernet Sauvignon and Petit Syrah berries, often yielding up to 10% more juice. 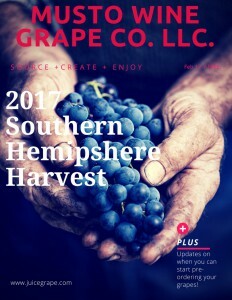 While a certain level of experience and research can aid in the estimated juice yield from your grapes, the basic rule of 4 crates per 5 gallons for South American/African produce and 2 crates per 5 gallons for North American produce is an easy means of determining how much produce you will need. 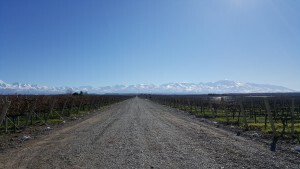 Hello Winemakers and Welcome to Your Spring Winemaking Update…..
As the snow melts on the East Coast the Southern Hemisphere is getting into harvest mode. The Spring grapes and juices will be here before you know it! Below we have a mini harvest update for each region outlining all the fresh products offered by Musto Wine Grape Co. this Spring. 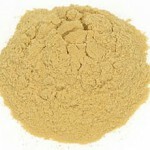 We’ve also included some yeast suggestions for the more popular varieties. We are looking forward to working with you this Spring Harvest! 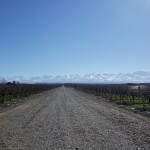 Keep an eye on our Facebook Page and Harvest Tracker for upcoming FREE Wine Classes and other Spring Harvest Updates. Cabernet Sauvignon: D254: Brings out bright fruit flavors and complexity such as berry, plum, and mild spice. 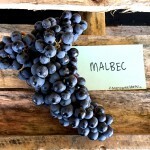 Malbec: D254: Brings out bright fruit flavors and complexity such as berry, plum, and mild spice. 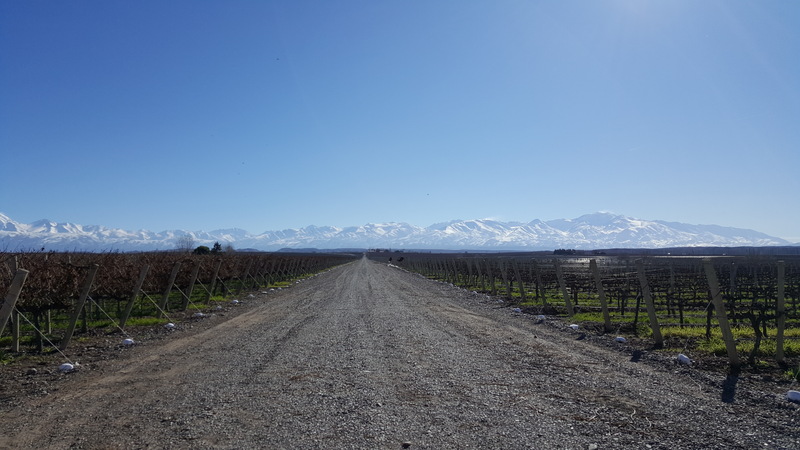 Vineyard Information: The growing season for the Curico and Colchagua Valley’s was a hot and dry one. Expect wines with great character, intense flavors, complexity, and distinction. We should be receiving grapes around the same time as last year, maybe a little earlier for the whites. Read more here for more information on the Chilean Harvest. 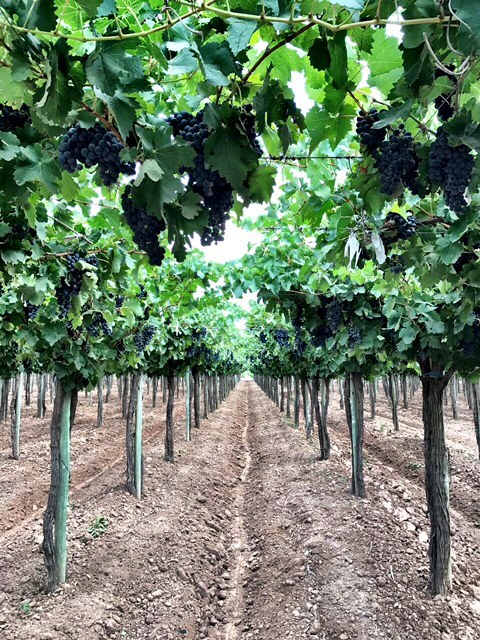 Cabernet: CSM – New Yeast Coming to Musto Wine Grape in the Spring!, Keep an eye for a blog post about in on Thursday’s Winemaker Think Tank! Carmenere: D254: Brings out bright fruit flavors and complexity such as berry, plum, and mild spice or BDX: Promotes soft tannins, secures color, and ferments at low heat. So pour yourself a glass of wine and give us a call or shoot us an email to secure your Pre-Order Today! The Winemaker’s Think Tank: Vol 6 – Do I Add Yeast to My Wine? Do I Add Yeast to My Wine? Some winemakers prefer what is called a “natural method” of fermentation, by allowing the yeast that live on the grape skins to ferment the must into wine. While these yeast can start the process of fermentation, they generally have too low of a population and alcohol tolerance to successfully finish the fermentation process. The most successful fermentations are conducted with lab cultured yeast cells. This is not to say that this method isn’t natural as well. Scientists travel to famous wine growing regions to obtain samples of the natural yeast flora that exist in those environments. They take these samples back to the lab and culture them, breeding select and healthy populations that can be packed and sold to winemakers all over the world. These selected yeast strains have a higher alcohol tolerance and have had the benefit of many trials and research conducted on their behalf to see exactly how they affect a wine. By using these strains you will not only have a more successful fermentation, but also more predictable results rather than the unpredictable results of the wild flora “natural yeast” that live on the skins. Through their research, scientists have found that certain yeasts promote certain attributes of the wine such as color security, fruit characters, spice flavors, and acid reduction. 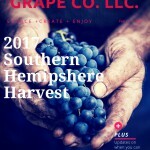 A vintner may select one of these commercially bred strains to get the desired effect they would like in their end product. The Winemaker’s Think Tank: Vol 5 – Is Malocatic necessary in White Wines if it has not been inoculated? Is Malocatic necessary in White Wines if it has not been inoculated? When considering the stability of a white wine in preparation for bottling, sugar and microbial stability are of great importance. After fermentation, if MLF is not purposefully inoculated by the winemaker, the addition of Lysozyme may be considered as to retard any naturally present MLF bacteria from beginning to ferment. If the level of SO2 is kept up to is suggested level (contingent upon pH), the Lysozyme may not be needed as the SO2 will prevent the bacteria from fermenting. If the winemaker is trying to use a low amount of sulfites in their wine, I would suggest the use of Lysozyme to inhibit any bacterial growth. Equally as important, is the use of sterile filtration. If the wine is processed through a sterile filter (.45µ), bacterial and yeast cells should be eliminated. This will physically prevent the bacterial spoilage of the wine. If the winemaker chooses to back sweeten the wine, this filtration will also help prevent any refermentation within the bottle. When it comes to back sweetening, I also always recommend chemical as well as physical sterilization of the wine to prevent fermentation and off aromas to develop within the bottle. Potassium sorbate may be used on any wine that has not gone through malolactic fermentation. If it is used on a wine that has undergone MLF, remaining MLF bacteria can begin to metabolize the sorbate, resulting in a strong geranium odor. In my experience, I typically add sorbate and sterile filter the wine, then bottle, without the addition of Lysozyme. I am meticulous about the level of SO2 remaining above the suggested amount , and I typically add an additional 10ppm before bottling to ensure prolonged sterility within the bottle. While you certainly can conduct a chromatography test upon the wines to detect the presence of acid, both malic and lactic exist naturally within the grape, so the chromatography test will not be especially helpful when looking at a wine that has not gone through MLF. As long as you keep a vigilant watch upon your sulfur dioxide levels and pH, and use sorbate when sweetening, you should be fine.